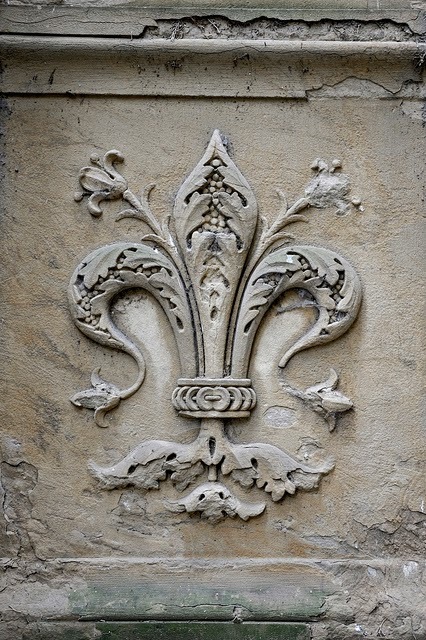 Fleur-de-lis, symbol of Florence, Italy. In early 1611, Antonio Neri returned to Florence after visiting a good friend in Antwerp; a visit that had lasted seven years. It is not known if such a long sojourn was planned from the start, but it seems unlikely judging from correspondence leading up to the event. Neri only first met Emmanuel Ximenes (pronounced "Si-men-ez") a couple of years earlier, in 1601. The two men were introduced at the house in Florence, where Neri was living at the time, by his landlord Alamanno Bartolini and his wife Beatrice. Emmanuel was Beatrice's brother; he and Antonio quickly realized they shared a strong interest in alchemy, medicine and also glassmaking. Ximenes was a wealthy banker, probably in Florence on business, and soon he returned to Flanders, but started a correspondence with Priest Neri that would culminate in the priest's visit. He was poor and the House Master for the Bartolini [family] of Santa Trinita. He claimed he had found the secret of making the famous philosopher's stone and it was said he had discovered it among some of his confidants. Some thugs learnt of this and attacked him at night, in order to obtain the secret by force. He shrewdly gave them a certain recipe he had in his pocket and explained the figures written on it, claiming it to be the secret oil required. But that night Neri left Florence and traveled to various parts of Europe. After the death of the two attackers, he returned to Florence. The political situation in Flanders was tense, and had been for Neri's entire time there. The Protestant Dutch to the north were in a bloody war for independence from Spain and the Habsburg Empire. All around Antwerp cities and towns were being sacked and destroyed as troops vied for control of the territory. Catholic Antwerp became an island of calm in a sea of trouble. Battles raged around it, but the city itself was considered too valuable an asset for either side to pillage. By the time Neri set off for home, a truce had been signed between the Dutch and Spain over the Low Countries, but it was an uneasy truce at best. Soldiers and cavaliers who had not been paid in months clogged the roadsides around Antwerp and Liege. There was unrest deep within Dutch held territory as well. In Utrecht, a popular uprising in January of 1610 threw out much of the local government over religious, social and political issues. Then in May, a Catholic fanatic assassinated King Henry IV of France. His widow, Florence's own Marie de' Medici, had been crowned in a ceremony the previous day. At Cologne, frantic negotiations were underway over the religious destiny of all Germany. By September, boatloads of English Catholic refugees were streaming into Leghorn on the Italian coast just west of Pisa. They had been expelled from Britain over the Gunpowder Plot. What Antonio found upon his return to Florence, was a city very much familiar in outward appearance, but perhaps a bit less so on the inside. Grand Duke Ferdinando "of blessed memory" – as Neri eulogized in his glass book – had died in 1609. As a result, Prince Don Antonio de' Medici, Neri's sponsor, found himself even more marginalized from the royal family. Former landlord Alamanno Bartolini was dead, as was Giambologna, the famous sculptor. He was Neri's neighbor whose workshop and residence was directly across the narrow street from Antonio's childhood home. Neri's own family matriarch, his grandmother Maddalena, had also died within days of the grand duke, making Antonio and his siblings the elders of the Neri family. 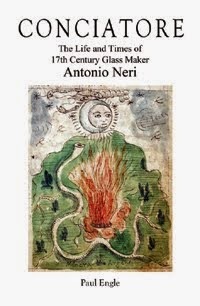 This was the Florence to which Antonio returned, and in which he settled down to collect his notes and within a few months write the book, L'Arte Vetraria, for which he will forever be remembered: the first book ever printed that is entirely devoted to making glass.